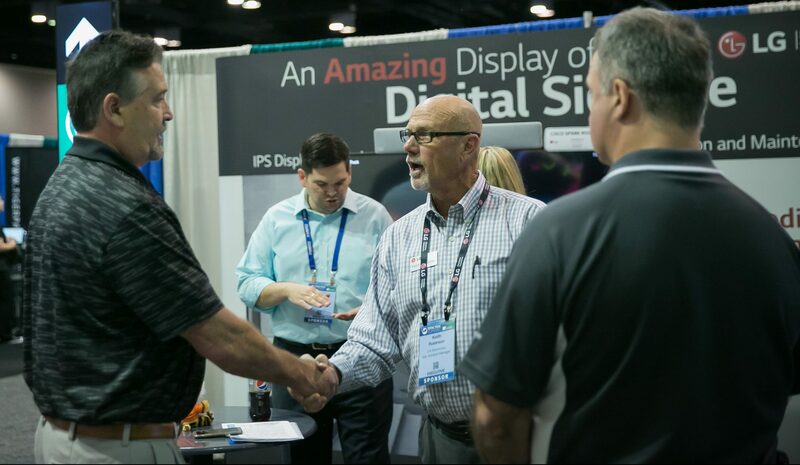 Digital Display Solutions president and Total Tech Summit guest Roger Harbert says CI market is ready for a showroom. Technology showrooms are not a new or rare concept. However, they typically are reserved for the residential markets. Now, one Texas commercial integrator is embracing the showroom in an effort to set a new bar in how commercial AV products are sold. 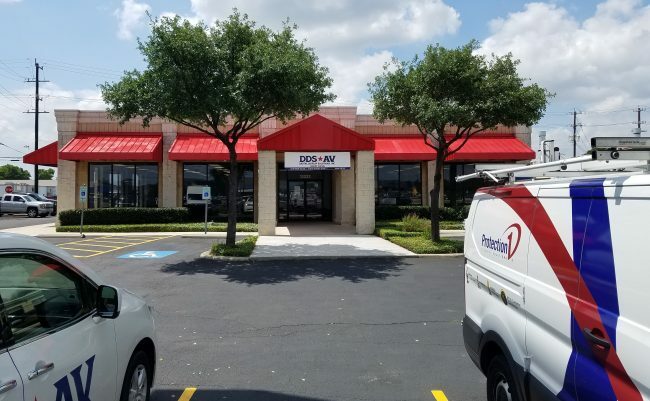 Digital Display Solutions of San Antonio is getting ready to open a full-scale showroom of its own to show prospective customers the audio and visual solutions it can provide for their businesses. “We feel like our industry is changing so fast and technology is coming at us so quickly that it’s time now to create a place where people can experience and get their hands on this new technology as it comes out,” explains DDS president Roger Harbert. That place is an 8,000-square-foot facility that will showcase top tech solutions in verticals like collaboration, digital signage and video streaming. There will be three dedicated conference rooms fully built out with control systems, which will comprise about half the space. The remaining 4,000 square feet will consist of a dedicated showroom for various other technologies. So far, several major manufacturers have expressed interest in displaying products in the DDSAV showroom, many of which Harbert met with at the CI Summit, and who he says he may not have met if not for the event. Those include Bosch, LG, NEC, Vanguard LEC and Yamaha Revolabs. Meanwhile, representatives from Vicoustic, with whom Harbert also met at the Summit, already have spent time in the space and will continue to do so as it is built out. The team will help provide sound absorption technology materials and design in the conference rooms. Altogether, Harbert hopes the facility can teach people the benefits of incorporating such tech features in their businesses. The key in being able to make the showroom successful, though, is getting people there, which has led Harbert to another non-traditional investment for a CI business. For 17 years, the company had eschewed formal advertising and marketing, instead relying on repeat customers and referrals for business. 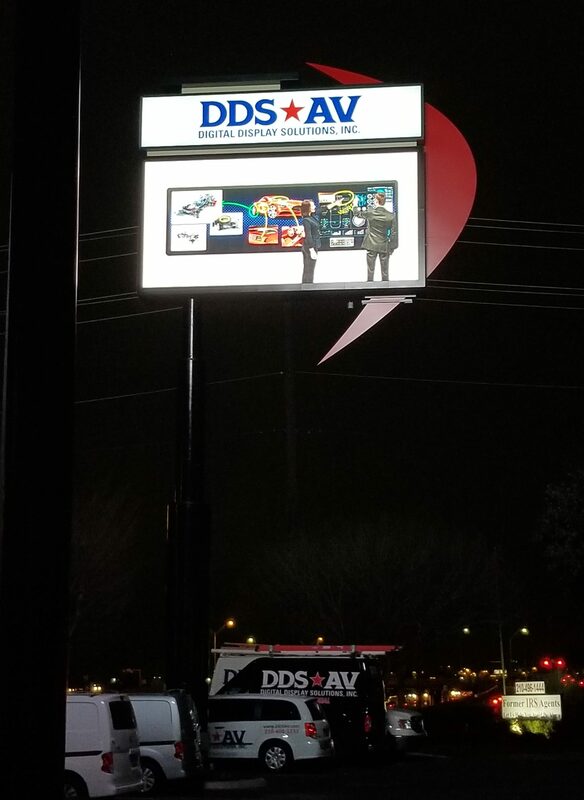 In an effort to expand its customer base, DDS has installed a large digital sign outside its building. DDS is using this 20-foot-by-10-foot digital sign to sell its products, including digital signage. The sign is a 20-foot-by-10-foot direct view LED outdoor display with a 12mm pixel pitch. It was erected in late December and started running content during the first week of January. Initially, it was used to increase brand awareness and introduce people to the company. Over time, DDS will use it to create campaigns around specific verticals and technologies. It was a significant financial investment, but one that Harbert believes makes sense, in large part, because of its location. Situated along US 281, a busy highway next to San Antonio International Airport, the sign with be front and center for the thousands of business people who drive by every day. Harbert believes once he is able to get potential customers into the facility to experience the equipment, the company’s close rate will increase significantly, and the sign will be a major catalyst in getting those people inside. The showroom itself still is a work-in-progress. DDS is in the process of finalizing a sale on the building which it has been leasing for years, then it will work on the remodel. Harbert says the purchase should be completed soon, and hopes to have the showroom operational by June. Then, the commercial AV industry will begin to find out if this experiment will be as successful as Harbert envisions.